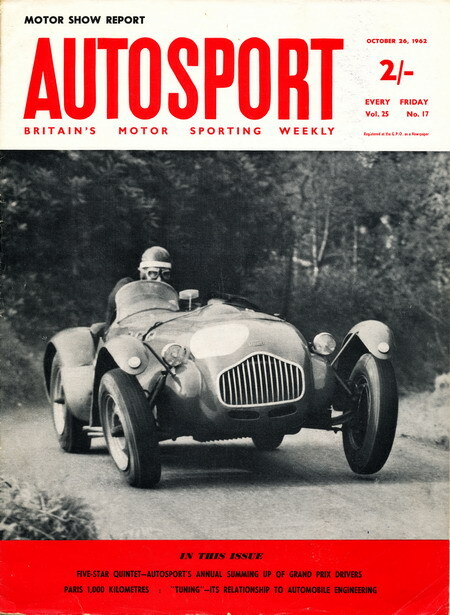 The October 1962 issue of AUTOSPORT features a great action shot of Jim Tiller and his J2. For those of you not familiar with Jim and his wife Sheila, they have actively raced their J2 for over 50 years, achieving several FTOD at the Brighton Speed Trials along with an attempt at breaking the 200 mph barrier at Bonneville in 2000. Sadly Jim was only able to achieve 197.3 mph...definately a record for an Allard!! To read more about his run at Bonneville, click here.